I am a firm believer in the power of work, responsibility, and trust as motivating factors to inspire positive prison adjustments. Administrators could make much better use of these virtues to reform offenders. To succeed, they ought to look to the same types of incentive systems corporate leaders and small business owners use to motivate those on the team. Prisons, however, fall a more communistic system of management. This pattern extinguishes hope, I have found. Those in society may live under the impression that prisoners engage in meaningful work programs. That has not been my experience. Although some prisoners may have the privilege of working in an industries program through which they provide goods and services for society, the vast majority work in makeshift jobs that fail to motivate. Those who work in industries programs, I think, have more successful adjustments. Yet crowded prisons limit thsoe positions to 25 percent of the population. 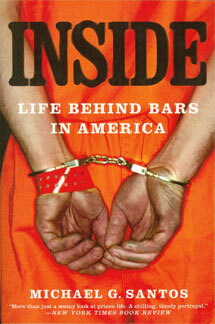 Some prisons, like the one where I am confined, do not offer a prison industries program. Where industries exist, waiting lists can take years before a prisoner becomes eligible. Since most prisoners do not have access to industries, it’s important to understand how other jobs are assigned. Many are makeshift, like raking dirt pathways to remove footprints. Others are low-level, non-skilled janitorial services. Certainly, prisoners should perform the services to maintain an institution. My contention, however, is if society intends to confine people for years or decades, prisoners ought to have mechanisms through which they can earn access to develop higher skill sets. Those who achieve those higher skills ought to earn access to more fulfilling and meaningful opportunities that reflect their trust and competence. If such mechanisms existed, more prisoners would pursue such routes. My experience has not exposed me to such opportunities, and I believe that flow in the system contributes to high recidivism rates. Rather than providing meaningful incentives that would encourage positive prison adjustments, administrators eschew policies that would allow prisoners to distinguish themselves from others. Despite efforts a prisoner makes to earn degrees or publish books, administrators do not categorize him any differently from a prisoner who plays dominoes and watches TV. This dehumanizes men, disincentivizes them, and discourages positive growth. High recidivism rates, high operating budgets, and negative prison adjustments result from this fundamentally flawed policy of treating all prisoners alike. It is un-American. In my case, it has not been prison that encourage positive growth. Rather, a profound sense of remorse for having humiliated my family and community was the impetus for my change. I prayed for guidance and I felt God guiding my prison adjustment. My goal has always been to reconcile with society and inspire my fellow prisoners to join me in making contributions to society. Yet I have felt the prison system resist my prison adjustment rather than encourage my growth. This is not bitterness, but an honest assessment. Despite more than 21 years inside, I live full of optimism and energy. Though I feel prison policies stifling me every day. I do not have any more privileges or opportunities than other prisoners. I simply work harder, as readers may see by reading my prison journal entries. My focus is on preparing for a law-abiding release, though neither prison policies nor prison administrators show encouragement for such an adjustment. All that matters is the turning of calendar pages. I appreciate the insightful questions Sean Katz asked that inspired this response.